We recommend that you send email newsletters to your current clients at least once every quarter. You can use these newsletters to spread the word about health concerns and hospital news, and with your guidance, our in-house copywriter will create your newsletter content for you. Remind your clients that you’re awesome. Email marketing is the best way to stay in front of your current client base. Your e-Newsletters can share hospital news, like new staff members, new veterinary services you’re offering and special deals, or advice you’d like to pass along, such as warnings or advisories that are specific to the season and your geographical area. Adding personal and unique touches, like a Pet of the Month contest, can help show your clients that you care about their pets, too. Your iVET360 Marketing Manager works with your veterinary hospital to determine what topics are important to you, and we come prepared with seasonal content for you to review as well. Your e-Newsletters are always customized to your practice, so they will always look and sound like you. iVET360 offers veterinary email marketing to clients in both of our service levels: Base and Base Plus. Every e-Newsletter your hospital sends will include a few topics, and each topic within your e-Newsletters will link to a full article on your website. This keeps the email from being too long and gives your clients a variety of interesting pet-related pieces to read. Along with increasing the number of possible clicks on the email, these links also drive traffic to your website. We keep emails concise and to the point while still leveraging your veterinary hospital’s unique brand. This builds client trust and lets them know you value their time. 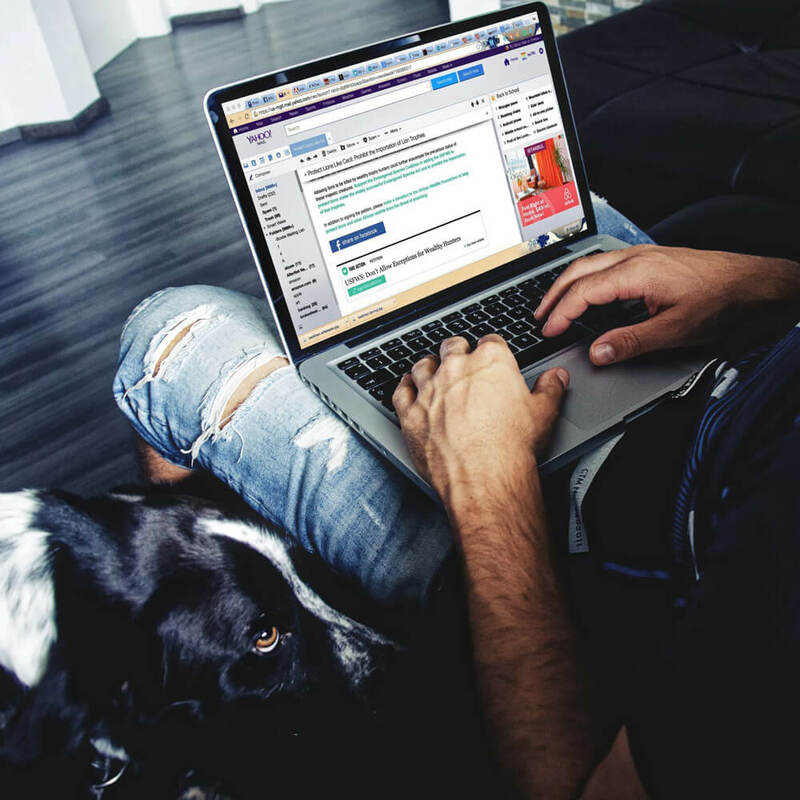 Because of these effective veterinary email marketing methods, our clients’ open and click rates are significantly higher than industry averages. Plus, with the tools we use at iVET360, we are able to view results from your email campaigns in real-time. We can then study these valuable insights, like the veterinary topics your clients are most interested in, and improve our outreach in each email campaign going forward.